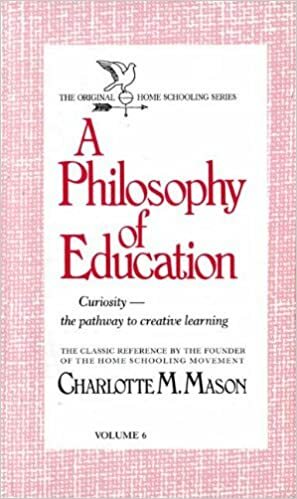 Today we’re taking a brief look at the Charlotte Mason Approach to home education. This is also sometimes called the “Literature” or “Living Books” approach. It is a VERY popular approach in homeschool circles, so if you look around you’ll see many references to it and all kinds of support to help you implement it if you so choose. Charlotte Mason was a turn of the century educator who rejected the British system of education prevalent at that time. She believed that children were more than mere minds to be filled with useless facts. She saw children as people with an enormous capacity for learning. She insisted that most children’s books and textbooks were filled with what she called “twaddle” – meaningless, trivial, poorly-written information. She wanted children’s minds filled with what she called “living books” or books that stimulated deeper thought and purpose. Ms. Mason’s philosophy also centered on art, music, and nature studies. She emphasized character development through careful work on habit forming. Eliminates some of the boredom and biases built into textbooks. Creates a learning lifestyle which can be good for multiple ages to learn together. It can take some time and effort to put together a program, although there are a lot of great resources out there now that can take a lot of the work out of it for you. It can be easy to get sidetracked off into one subject if you don’t have a plan in place. For instance, if you spend the entire day doing a nature study, you will need to plan to spend more time other days on other subjects. Even if you don’t decide to implement a full Charlotte Mason approach in your homeschool, you should read some of the resources and consider implementing parts of the CM approach that appeal to you. You can easily add living books, nature walks, and art and music to your homeschool life!